In 2013, Hay House Publishing arranged for two of the most inspirational teachers ever – Dr. Wayne W. Dyer and Abraham to meet! Dr. Wayne W. Dyer asked the questions and Abraham answered them. The event ”An Evening with Dr. Wayne W. Dyer and Abraham” took place in Anaheim, California on November 13, 2013. This was later compiled into a book and DVD under the name: “Co-creating at Its Best: A Conversation Between Master Teachers “. Here’s a clip from their interesting conversation. Also, find a summary below. Who are Abraham-Hicks and Wayne Dyer? For more than 40 years of teaching and inspiring people to live the life of their dreams, Dr. Wayne W. Dyer had accumulated questions that he got the answers to! 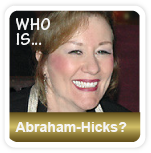 Esther Hicks summoned the infinite intelligence called ”Abraham” to give their wisdom and clarity to the questions. Are you trusting in yourself? Dr. Wayne W. Dyer understood the importance of trusting in yourself, because in doing so you are also trusting the wisdom that created you. However, this can be very difficult especially since most of us are not brought up trusting in ourselves, but rather to obey our parents and trust their guidance. However, even if it’s well intended, this kind of parenting style can be a bit tricky. First of all, our parents are not always in a good place (or in the Vortex), and when our parents are in a bad mood, their guidance isn’t always trustworthy. Second, as we grow up we learn to ignore our inner guidance, so we have to re-train ourselves into trusting what our inner “gut” is telling us. How do we do that? By practicing to always choose a thought that feels a little better, and by doing so, you will align with your higher self – the wisdom that created you – on a regular basis. What happens when you are choosing a better feeling thought on purpose? Abraham-Hicks explain that it is important to practice the vibration of this so called ”high-flying disc” on purpose. Why? Because, if you are deliberate in raising your vibration, then you will recognize when you are not on the ”high-flying disc” and then you can do something about it. In other words, to practice a better feeling thought will give you control of your own vibration. When you know what to do to feel good, you will feel worthy and you will feel clarity. Everything in your life will start working out. Nothing will seem difficult. Things that felt difficult in the past will feel humorous to you. Instead of complaining about the difficulties in your life, you will now be enjoying figuring things out. You will feel like the entire Universe is assisting you (as it does). It will be like having a concierge leading you to your dreams without any missteps! Abraham-Hicks want us to know that life is about this moment, right here and now. So instead of waiting for your dream relationship, your dream car, your dream house, or your dream vacation, start enjoying your life now. Why? Because later never comes. It is always now, now, now! 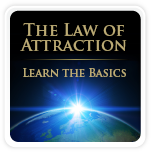 Abraham-Hicks explain that either you align with your higher self now, or not. It is now alignment, or not. When you have been practicing a better feeling thought on a regular basis, and showed yourself that you are capable of having now alignment, then you are living the way that you are intended to live, according to Abraham-Hicks. What do you do when you are having a negative thought? Should you go back and correct thoughts that are not in alignment? This will only slow things down, according to Abraham-Hicks. A much easier way is to take a nap – because this stops momentum. After your nap, the momentum will increase from a place of non-resistance. You will stay on a high-flying disc – as long as you don’t re-introduce a negative thought – by worrying again, analyzing the situation etc. When you offer an effort to correct a thought or a behavior, you are actually activating the opposite to what you want. The vibration of effort is an opposing vibration to your desire – it a vibration of resistance – and not the vibration of allowing. Instead, allow your high-flying vibration (your higher wisdom) to guide you to your next step.